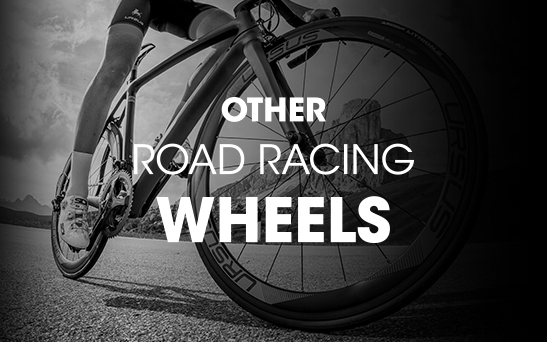 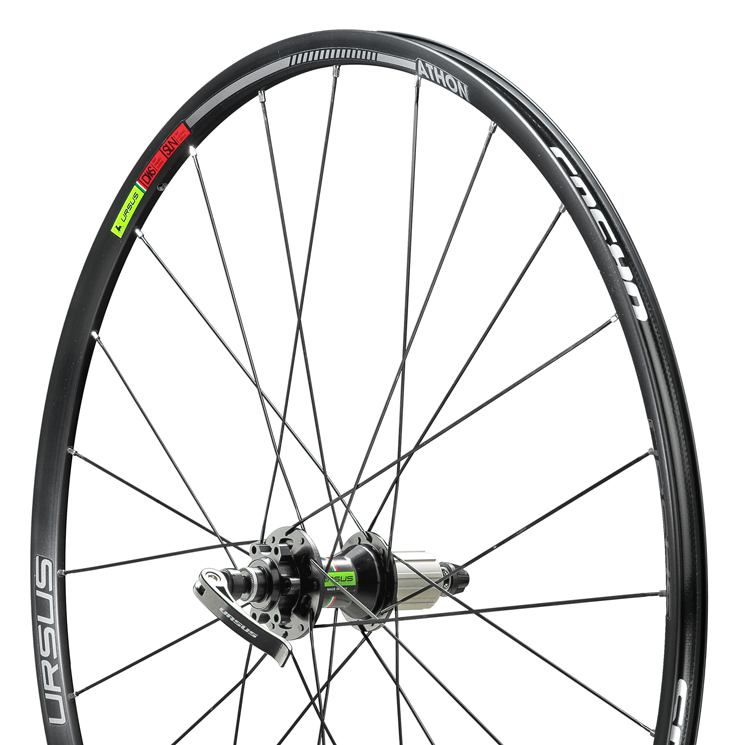 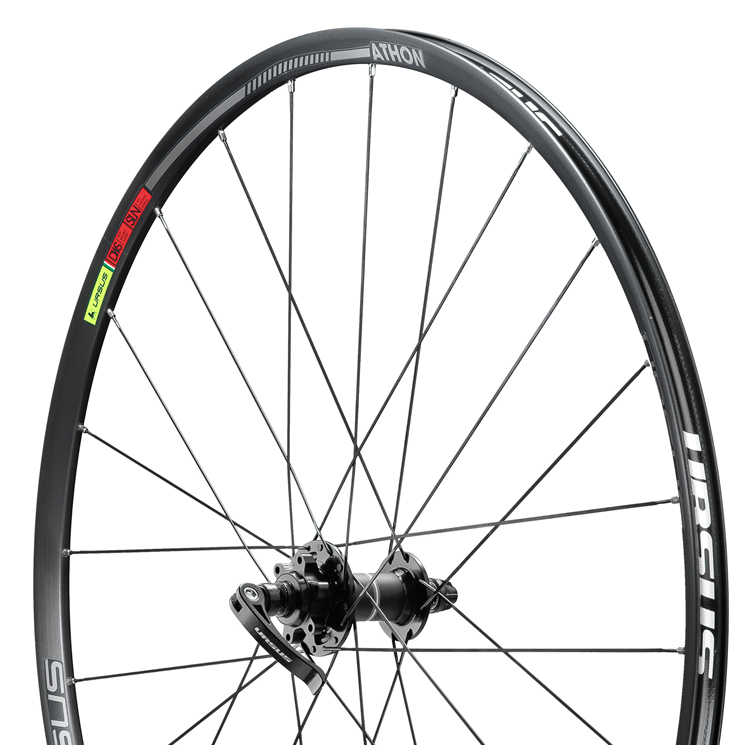 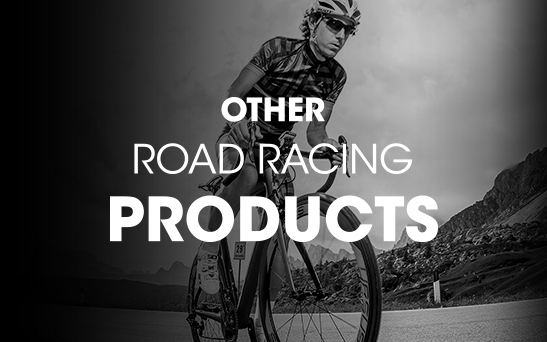 Alloy road racing wheels optimized for 6-hole disc braking systems. 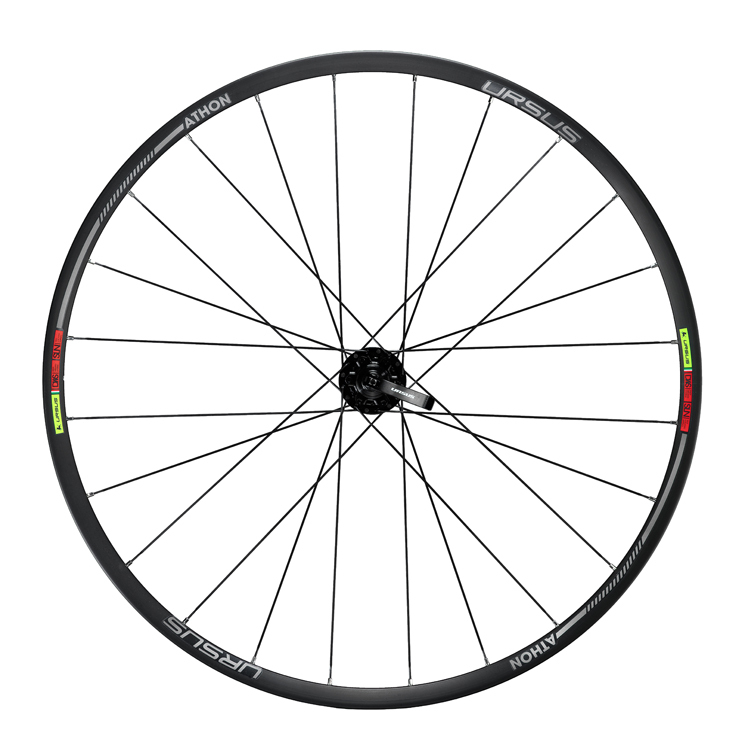 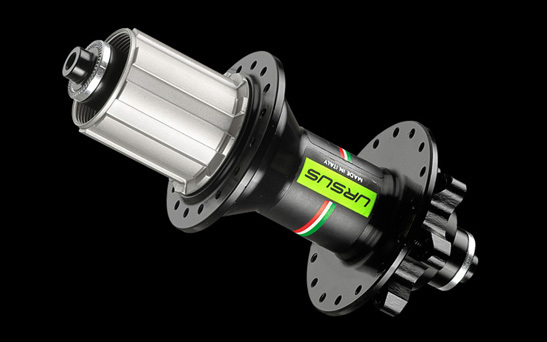 Athon DISC are the perfect synthesis of the fundamental characteristics that an aluminum racing wheel must have: lightness, reactivity, safety and quality make it unique. 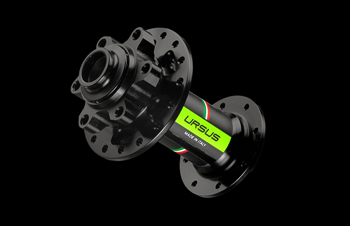 This is the evolution of the classic and very popular URSUS Athon wheels which already stand out for their reliability and strength. 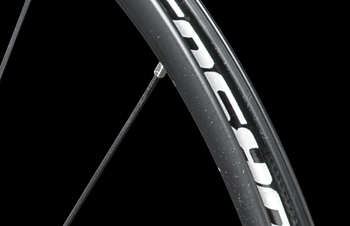 • Material: Clincher rim in alloy 6005 T6 anodizzato nero. 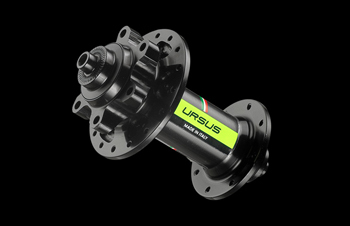 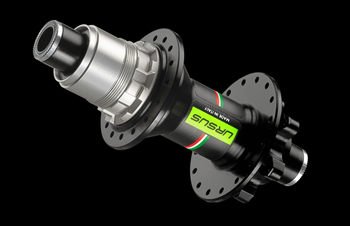 • Material: ergal 7075 black anodized hubs with double sealed ball bearings high fluidity SKF. 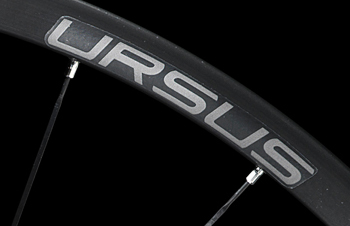 This System allows a perfect resistance to traction, torsion, and tear at the vulnerable point of the wheels rim. 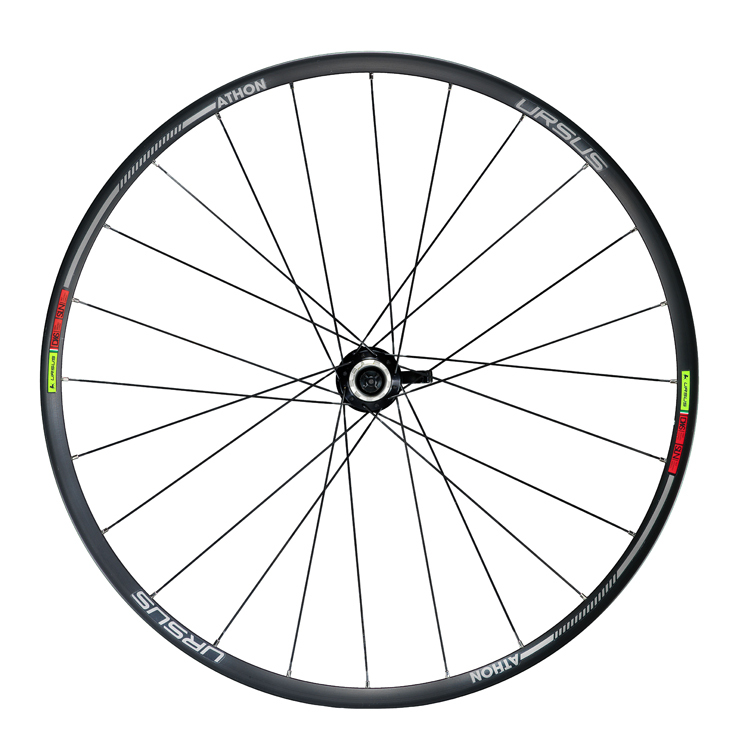 The wheels rim is designed in close connection with alloy 50886 H34 and then glued to the hill through the injection of high structural features, according to the process EPX Scotch WEID.